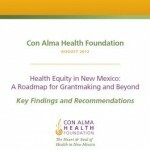 In 2011, Con Alma Health Foundation began gathering information for a new survey of health-related needs and issues to replace the 2006 Report “Closing the Health Disparity Gap” as a road map for grantmaking. The final version of the report will be issued this year, preliminary documents are already available. 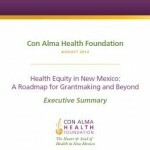 Together, they provide a detailed picture of the priorities that will guide the Foundation’s grant making in 2012. 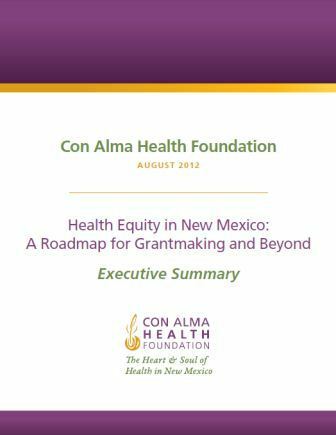 The nine-page Executive Summary includes discussion of all the major priorities and issues and addresses the grant-making considerations that will be applied in relation to each one. This is the key document to review in order to make certain your application will be competitive in the 2012 funding cycle. 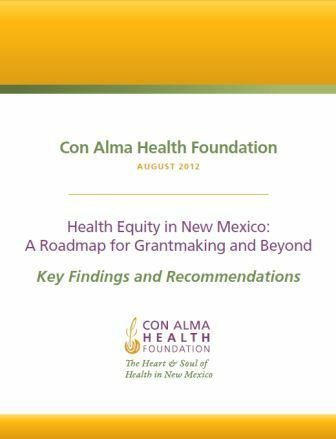 The four-page Key Findings and Recommendations document is less detailed, but provides a quick overview for discussion.